Chicago Public Schools is revising its Englewood school action plan, saying it will phase out students at three of the four neighborhood high schools in the area rather than shuttering them entirely this year. Students at Hope, Harper and TEAM Englewood high schools will now be allowed to stay at their schools through graduation instead of being forced out this summer, the district announced Monday. CPS CEO Janice Jackson said the adjustment was made after hearing extensive feedback from community leaders and families who want the schools to remain open. 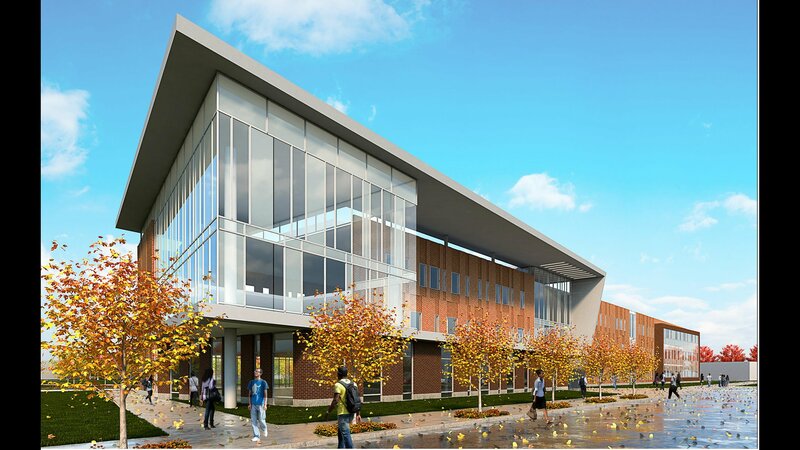 “Englewood students deserve a state-of-the-art high school and a world-class education, which is why we’re excited to build an $85 million campus that will rival the city’s best schools,” Jackson said in a statement. The schools will stay open for three more years, but will no longer enroll new students. The original plan had those three schools, along with Robeson High School, closing at the end of this school year, forcing more than 400 students to find and enroll in a new school by next fall. Robeson – which will be the site of the new high school building – will still close this summer, but students at the three other schools now have the option to stay through graduation or transfer elsewhere. Asiaha Butler, a member of the district’s steering committee on the plan and president of the Resident Association of Greater Englewood, said she sees the decision as something of a bittersweet victory. “I’m not standing up for joy, I’m still very hesitant to rejoice, but I have to think about the present and what’s happening now,” she said Monday. In addition to transportation, safety and educational concerns, residents and advocates have spoken out about the potential destabilization of the neighborhood that could occur when closing the only four neighborhood high schools in Englewood all at once. District leaders have said this proposal is necessary because the existing Englewood schools are underenrolled and underutilized. Butler and several other members of the steering committee – which advises CPS on its transition plan – had threatened to resign, saying the district had only given them two options to vote for: either close the four schools in one year or two. She still plans to step down in hopes the committee can be redesigned to include more parents from the schools. CPS organized a trio of public hearings to discuss the original proposal last month, which were regularly filled with parents and students from the Englewood area pleading with the district to keep their schools open. An independent hearing officer who moderated the last of those meetings said the district plan does meet state requirements, but only minimally. CPS had initially planned to put up more than $8 million to help students find new schools and plans to shift boundaries at other area high school to provide them with additional options. The district now says it will provide Hope, Harper and TEAM with additional program support funding over the next three years to make sure core subjects are available and students can graduate with all required classes. Still, some feel the revised plan doesn’t go far enough. The Chicago Teachers Union on Monday called on the district to provide additional resources to the impacted schools, while Butler said that Englewood residents shouldn’t be forced to give up their existing neighborhood schools to bring a new school to the area. Feb. 7: About 15,000 Chicago Public Schools students are homeless, and a proposal to close four Englewood high schools would disproportionately harm part of that population, the Chicago Coalition for the Homeless says. Nov. 30: A day before the Chicago Public Schools system is set to confirm which schools it plans to close next year, teachers say they’re already getting word. And the Chicago Teachers Union is pushing back.